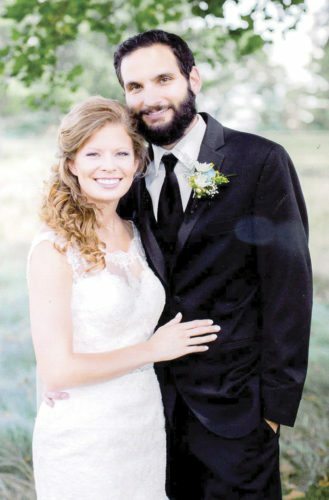 YOUNGSTOWN — Daniel DiRienzo and Taylor Corson were united in marriage on Oct. 20, 2018, at the Western Reserve Village Church in Canfield. 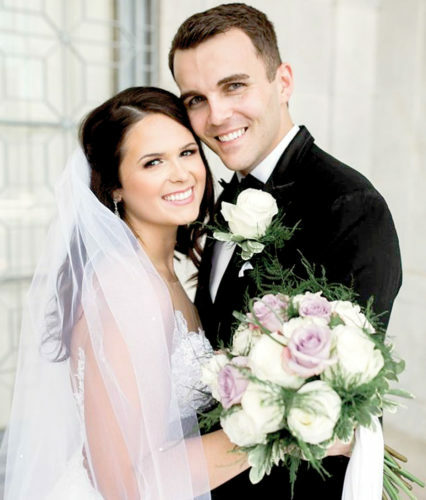 The ceremony was performed by P. J. Kirschbaum of Englewood, Colo., friend of the groom. 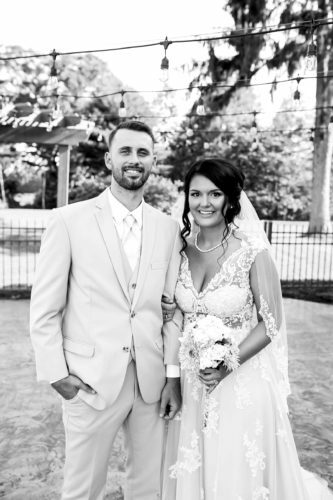 A reception followed at Das Dutch Village Inn in Columbiana. 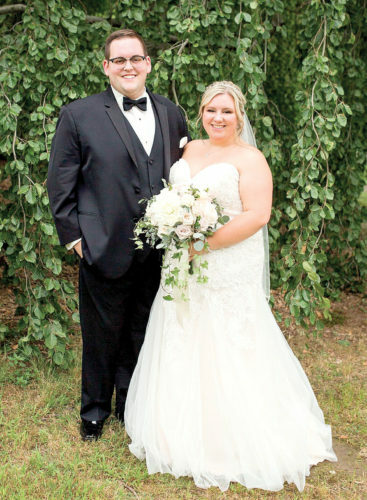 The bride wore an Oleg Cassini organza ball gown with 3/4 length lace sleeves, a sweetheart neckline, and embellished with over 4,000 beads and a rhinestone sash. 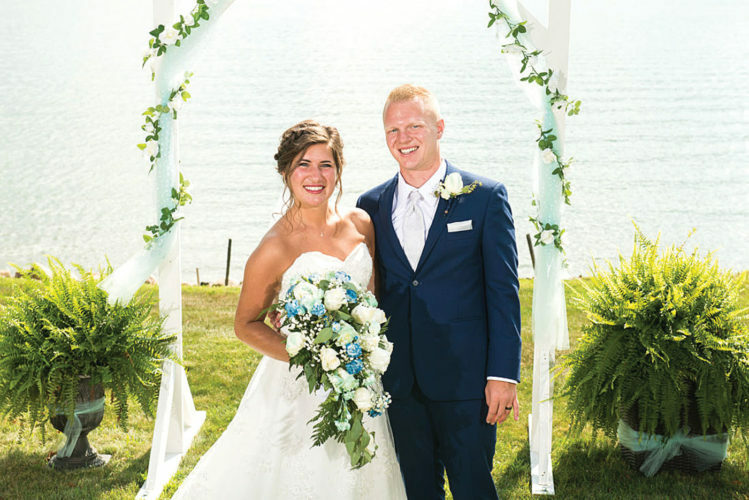 In marine blue, lace bodice gowns, were matrons of honor, Laura Mirto, cousin of the bride, and Shelby Smith, friend of the bride. Bridesmaids in matching gowns were Gina DiRienzo, sister of the groom, and friends, Tiffany Wolfe, Brittany Edison, Gibby Ball, Amanda Tennant, and junior bridesmaids, Abby and Ally Corson, the brides’ twin sisters. Performing the duty of best man was Bob DiRienzo, brother of the groom. Groomsmen were friends David Smith, Tyler Snodgrass Tommy Snodgrass, Jon Ball, Matt Kotch, Mickey Sebastian, and junior groomsman Ashton Corson, the bride’s nephew. 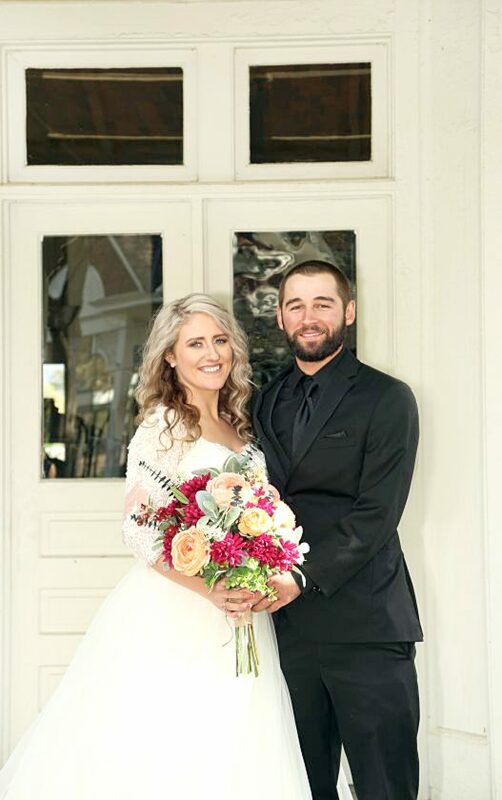 The bride is the daughter of William Corson of Hurricane, W.Va., and Tammy Corson and Kenny Carr of Andover, Ohio. She is a graduate of Eastern Gateway College and is employed as an assistant preschool teacher. The groom is the son of Dennis and Terry DiRienzo of Calcutta. He is a groundskeeper at Youngstown State University and owner of DiRienzo Lawn Service. 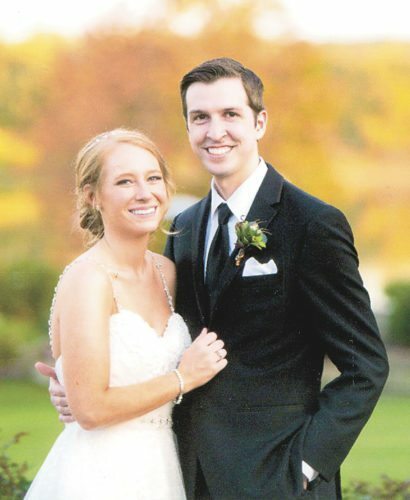 Following a honeymoon cruise to the Bahamas, the couple resides in Youngstown.